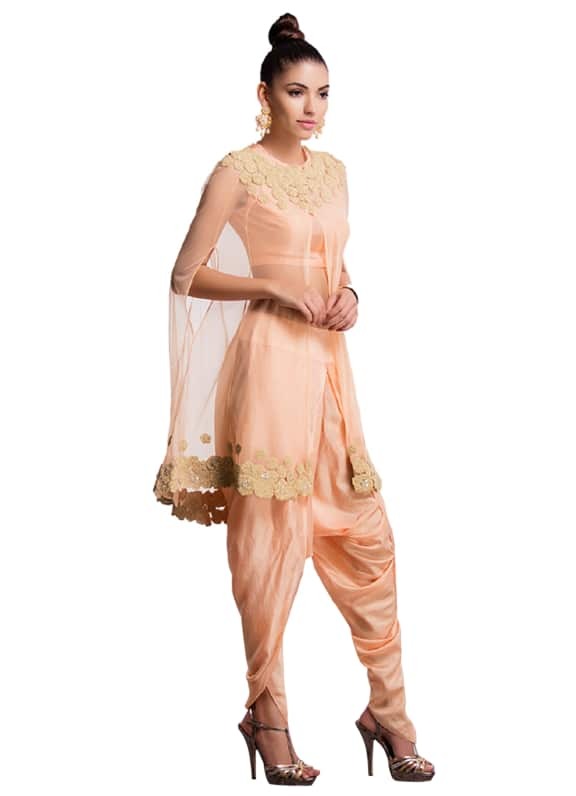 This is a silk and net peach short kurta and dhoti pants with a sleeveless silk slip. 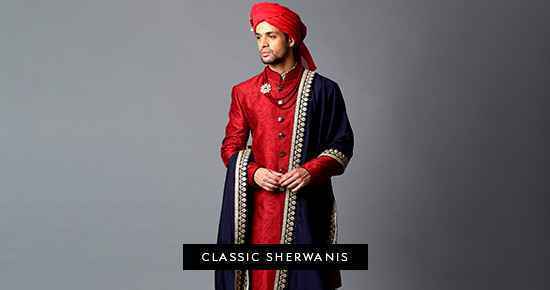 The gold embroidery serves as a delicate border on the kurta bottom and neckline. 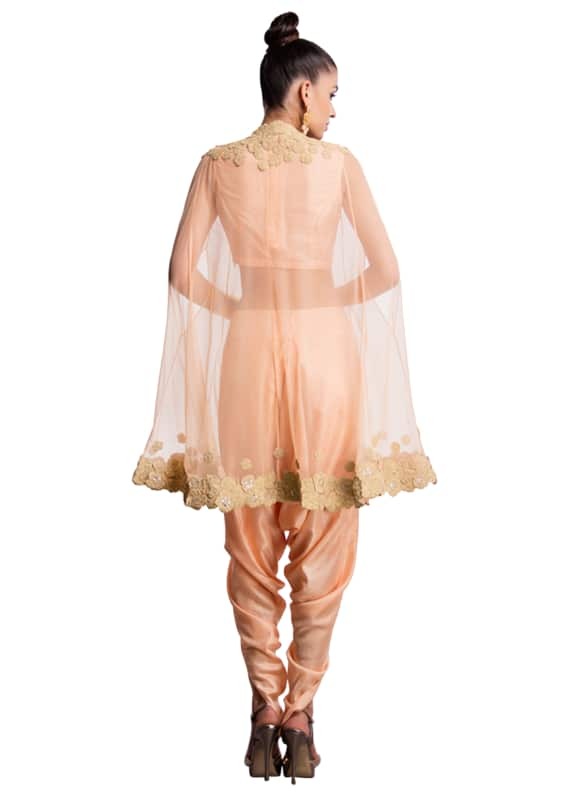 Great for any evening, this classic Ridhi Mehra cape style anarkali flows beautifully over the dhoti pants. The translucent cape is delicate, making you feel pretty and sensual. Paired with oversized gold coin stud earrings by Amethyst.